Interlobular septal thickening and ground-glass opacity in both upper lung lobes form a so-called crazy-paving pattern. 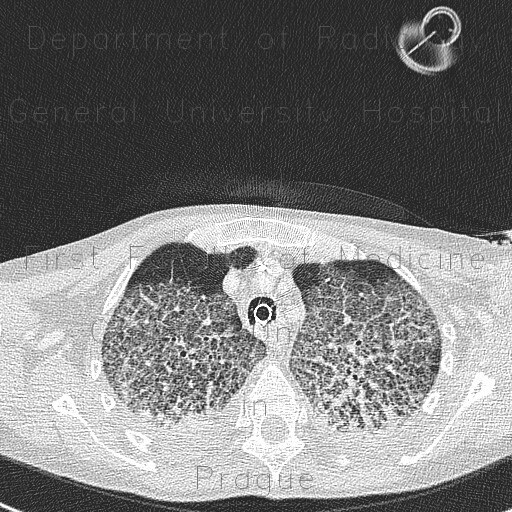 The follow-up examination shows formation of multiple areas of condensation due to progression of pneumonia. Note initially inconspicous chest radiograph.